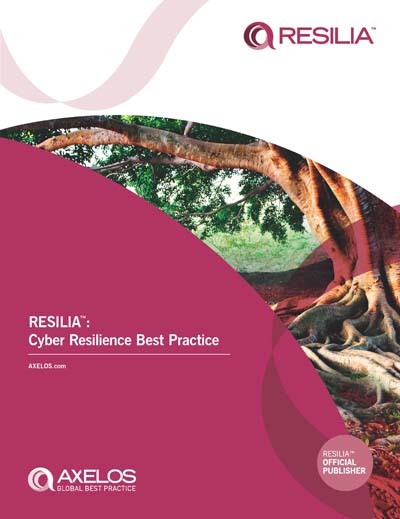 RESILIA Cyber Resilience Best Practices provides organizations with a methodology for implementing cyber resilience. RESILIA is a comprehensive portfolio of tools and training to help your organization achieve global best practice in cyber security. RESILIA helps embed best practice cyber security skills and resilience behaviours with all your people, regardless of their role or seniority. With RESILIA you can move beyond effective cyber security and achieve cyber resilience. This publication offers a practical approach to cyber resilience, reflecting the need to detect and recover from incidents, and not rely on prevention alone. It uses the ITIL® framework, which provides a proven approach to the provision of services that align to business outcomes. RESILIA™ Cyber Resilience Best Practices is relevant for any organization using technology to manage information that is critical to its success. It is aimed at managers who are responsible for staff and processes that contribute to the cyber resilience of the organization , whether designing, operating, supporting or acting as the end users of those information systems.